Yesterday, when I reviewed “A Very She & Him Christmas,” I noted that Zooey Deschanel has pretty much been destined to record a Christmas album. Jon Favreau’s “Elf” is the reason why. This was many people’s first exposure to Deschanel, and who wasn’t charmed by her delightful shower-duet with Will Ferrell on “Baby It’s Cold Outside?” Deschanel is good in a great number of scenes in the film, but it’s when she’s singing that she shines brightest; the She & Him Christmas album was a very full circle moment for her career, I think. The story, narrated by Bob Newhart as Papa Elf, begins when Santa accidentally takes a baby back to the North Pole from an orphanage. 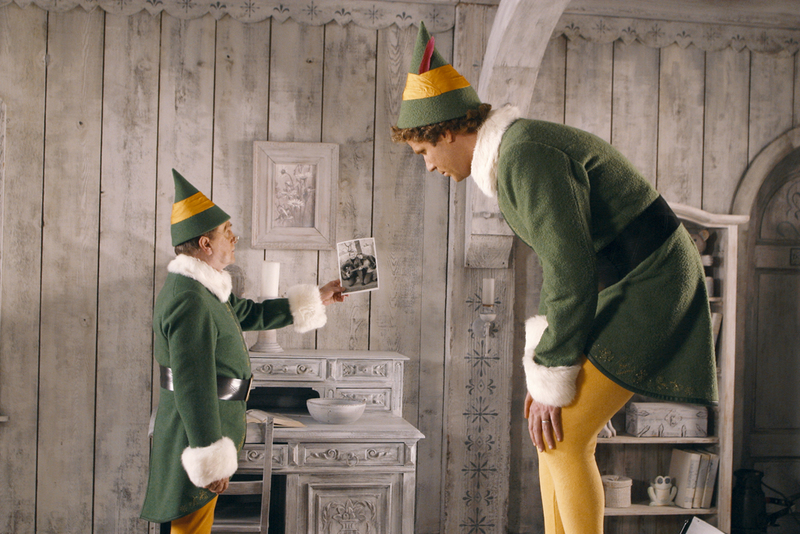 ‘Buddy’ (Will Ferrell), as they name him, is raised as an elf, and though he’s more enthusiastic about his job than anyone else, his six-foot-plus height means that he doesn’t exactly fit in. When he’s grown up, Papa Elf decides its time for Buddy to find his real family, and sends his adoptive son to New York to meet his birth father, Walter Hobbs (James Caan). The only problem: Walter is on Santa’s naughty list. 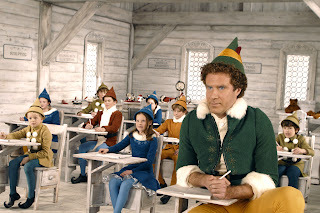 At the time, Will Ferrell certainly wasn’t the kind of comedian one would expect to find in a family film; after all, since his credits up to now included “Saturday Night Live” and raunchy comedies like “Old School,” stuff I didn’t watch as an eleven-year-old, “Elf” was my first exposure to the actor. In some ways, I think Ferrell is still riding the wave of audience love he received from “Elf” (and, of course, “Anchorman”), because he is almost unbelievably endearing in this movie, and little he has done since even comes close. In Buddy, Ferrell crafts one of the Christmas season’s most memorable characters; he goes for broke, approaching everything Buddy does with such incredible enthusiasm that it’s impossible not to fall in love with the character. 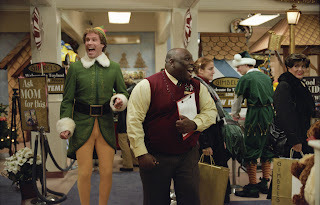 Buddy may be an oddball, but his huge Christmas spirit is infectious, and whenever I watch the film, I want to go out and be a little bit more like Buddy. It’s Ferrell’s performance that makes the entire movie work, and his passion extends to every inch of the movie. The opening scenes at the North Pole are bursting at the seams with creativity. Favreau’s vision of Santa’s workshop is a jubilant conglomeration of many classic interpretations, complete with talking, stop-motion animals. It is a place both comfortably familiar and charmingly fresh, the perfect place to start a Christmas classic. I also Favreau’s down-to-earth, only slightly sanitized depiction of New York. It’s one of the harsher cinematic looks at the city, at least for a family film, made lighter only by Buddy’s hilarious antics. 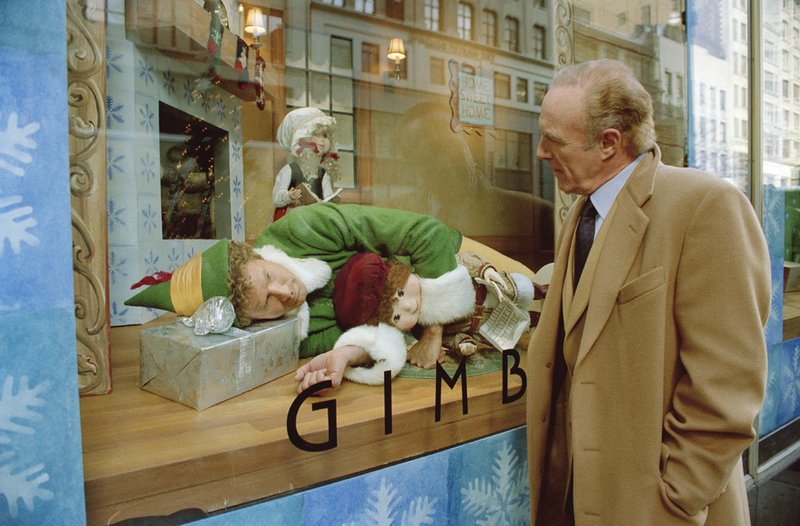 Gimbels, the Macy’s-esque department store Buddy gets a job at, is a comedic gift that gives on giving. “Elf” also features a very charming narrative; as I said above, it tends to over-articulate its message, but watching Buddy’s enthusiasm for the season rub off on his misanthropic father and sarcastic love interest works beautifully nevertheless. As funny as the film is, it isn’t just a string of empty laughs; there’s a great amount of heart on display, and it’s irresistible. It builds to a really magnificent finale, in which Buddy and his family help Santa fix his sleigh by restoring Christmas spirit to New York. Typing those words, I realize how much that climax really shouldn’t work; those are the kinds of clichés that make me wretch. Somehow, it warms my heart every time. Perhaps it’s Zooey Deschanel’s singing? She has a great voice, though I also love the sarcastic edge she lends her character. James Caan is excellent as well, playing a great straight man to Buddy’s off-the-wall antics. Bob Newhart is simply perfect as Papa Elf, and Ed Asner is one of my all-time favorite Santa’s.